Paris prosecutor’s office said it was currently being investigated as an accident. A firefighter was lightly injured while tackling the blaze, Commander Jean-Claude Gallet told BFM TV. It is expected to take several days to completely extinguish the fire. 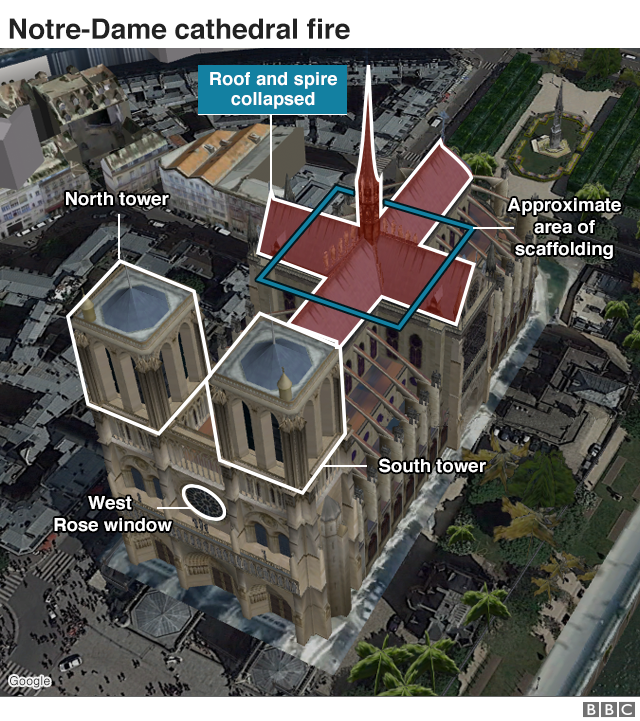 Visiting the site on Monday night, Mr Macron said the “worst had been avoided” with the preservation of the cathedral’s main structure as he pledged to launch an international fundraising scheme for the reconstruction. “We’ll rebuild this cathedral all together and it’s undoubtedly part of the French destiny and the project we’ll have for the coming years,” said Mr Macron. “That’s what the French expect [and] because it’s what our history deserves,” he added, visibly emotional, calling it a “terrible tragedy”. 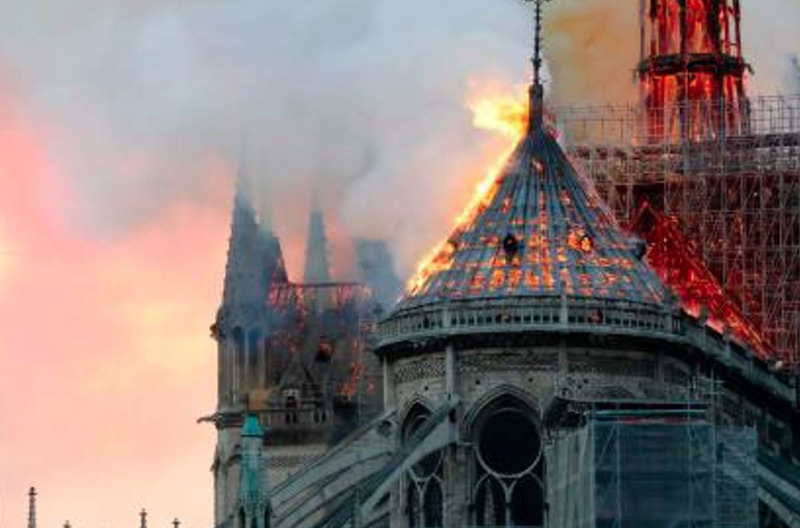 Mr Macron said the cathedral was “for all French people”, including those who had never been there, and praised the “extreme courage” of the 500 firefighters involved in the operation. 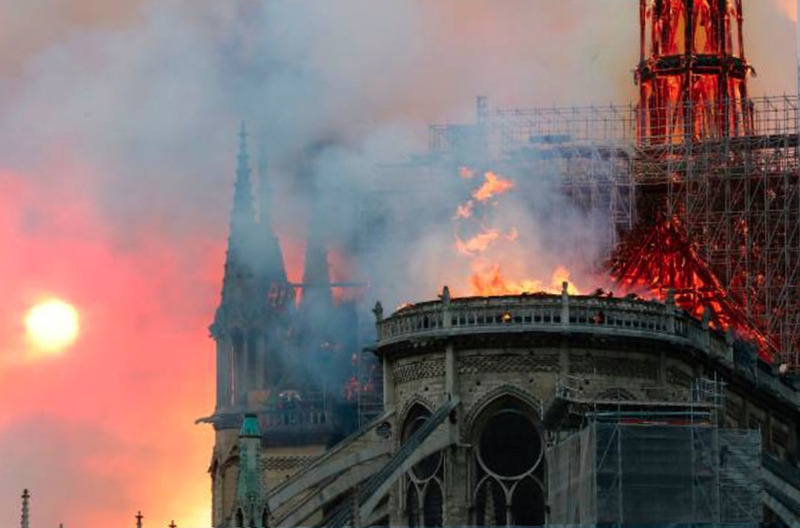 “Notre-Dame is burning, France is crying and the whole world, too. It is extremely emotional,” Archbishop of Paris Michel Aupetit said. The Vatican expressed “shock and sadness” while UK Prime Minister Theresa May described the fire as “terrible”. Unesco said it stood “at France’s side to save and restore this priceless heritage” visited by almost 13 million visitors each year, more than the Eiffel Tower. Germany’s Chancellor Angela Merkel called the Notre-Dame a “symbol of French and European culture”. US President Donald Trump said it was “horrible to watch” the fire and suggested that “flying water tankers” could be used to extinguish the blaze.